Great opportunity for owner occupant or investor near Scott Street in Wilmington. 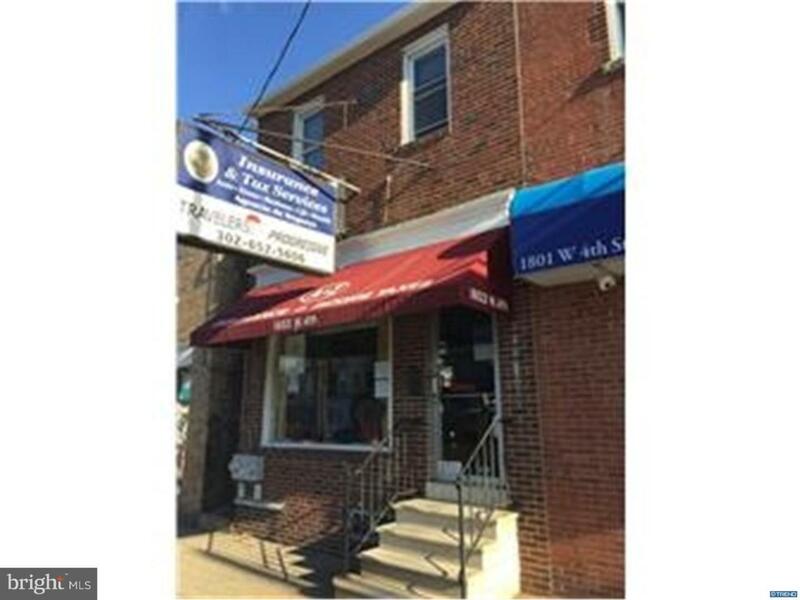 This property consists of a storefront with many possible uses including retail stores and professional offices. The storefront has two open business centers, a private office, full basement and bath. It is in excellent condition with a new heater and air conditioner and 5 year old roof. An added bonus is a newly renovated 2 bedroom, 1 bath apartment with a living room, kitchen and deck-busy traffic count!